Mike graduated from Curtin University School of Physiotherapy in 2003 and is also currently studying his Masters of Science Rehabilitation. 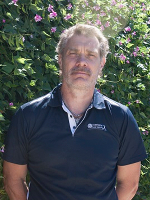 Prior to becoming a Physiotherapist, Mike was a Podiatrist and was the second Physiotherapist in Australia to also have qualifications as a Podiatrist which he obtained from the West Australian Institute of Technology, School of Podiatry in 1984. Since then, Mike has worked in a variety of private practices over the last thirteen years working with patients of a walks of life and ages.